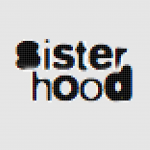 From Hounslow to the BBC - sister-hood magazine. A Fuuse production by Deeyah Khan. Writer and actor Ambreen Razia’s latest production Hounslow Diaries is an adaptation of her one-woman play, Diary of a Hounslow Girl. Hounslow Diaries premieres on BBC3 on Monday 5th November. We asked Ambreen a few questions about her life and work. Your upcoming BBC3 show Hounslow Diaries is based off of your award-winning one-woman play – Diary of a Hounslow Girl. Is this as autobiographical as it sounds? I would say its semi-autobiographical. It was hugely inspired by the people I’ve grown up with and captured observations of the young girls I teach. Can you tell us a bit more about the storyline? 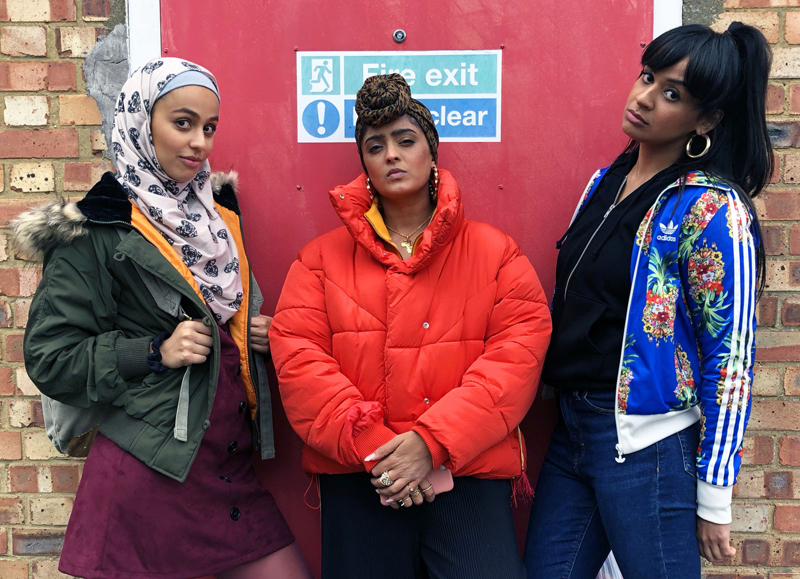 Hounslow Diaries centres around Shaheeda, Tash and Leonie – three loud, excitable, determined Muslim teenage girls living in West London. In the pilot, Shaheeda has made it her mission to get them to a west end nightclub, whether that works out…well…you’ll have to watch it. You’re the writer, creator and a lead actor in this show. How did you handle all those competing demands? Behind me was the most incredible team from CPL Productions. We made sure our script was sorted and ready to go early on, so once filming began I was able to just throw myself into it as an actress, as opposed to worrying about script or production. I was very lucky. You’ve also appeared in Murdered by my Father and Finding Fatimah amongst other movies. How did making Hounslow Diaries differ from those productions? I guess it’s always wonderful to be working and helping other people their stories, but there’s something very special and sometimes surreal when seeing such talented cast and fantastic crew who are dedicated to your script. Can you describe the process of transferring your stage play to the screen? It was hard to let go of the play, but when moving your story into a different realm (in this case stage to television and sitcom) you have to be open to change. I retained so much from the play: but I also embraced the fact that this was now an opportunity to take it somewhere else, and to reach a bigger audience who don’t get to see work like this and stories like this. I always said from the start that I never wanted it to feel self-deprecating and always wanted to retain the truth of the story. Luckily, I had a team who wanted exactly the same thing. It’s a very different thing the play, but it still retains the spirit and energy of the original piece. That’s the most important thing. Your show has a predominantly female, Asian cast. Was it important to you to counter stereotypes around Asian women? Yes! Myself and the director, Nida Manzoor, really wanted to move away from the stereotypes which we quite often see in Asian comedy. My mum didn’t have a TV Pakistani accent so why would my on-screen mum?! Our whole team have been very keen to portray positive, realistic and relatable Asian and Muslim women in our show. We’ve tried really hard to avoid and subvert stereotypes wherever we can. Role models… I’ll be honest some of the prisoners and ex-prisoners I’ve worked with, I’ve had the pleasure of being able to perform some of their work and I’ve been blown away by what they create. Industry-wise, I’d say Kathy Burke, Peter Mullan and Joe Orton. And of course the amazing Malala Yousafzai. Have you had any help from inside the industry to get this project accepted? CPL Productions are the people who first saw the play, who knew that it could and would work on TV and that it would find an audience. Then the commissioners at the BBC – Alex Moody and Shane Allen – have championed the project from the get go! Your new play POT is set in London’s seedy underbelly. Can you describe that project a little? What experiences did you draw on to create that? I’ve worked with ex-gang members in the past. I was lucky enough that they shared their experiences and stories with me. Also, Tracey Miller’s autobiography ‘SOUR’, about her experiences growing up in gang life. She made herself totally accessible to me during the process. That was incredibly inspiring. You grew up in London with a single mum. How has that shaped your outlook on life? I guess it’s made me want to write more roles for women who are strong and resilient, I’ve only ever grown up with women like that, and therefore I was frustrated when I couldn’t see Muslim women being portrayed like that on screen. What advice do you have for young people interested in a career in the media? Just do it. Don’t wait for an opportunity, make your own opportunities. There are so many ways/platforms to showcase your work. Open your own doors: let your work speak for itself. Trust me people will gravitate to you. Why should we watch Hounslow Diaries? We’ve made something really warm, funny, positive and relatable. There’s not much like this out there right now so we really hope people love it and watch it! It’s 20 minutes of teen girl joy with something for everyone. If you love it, please tell the BBC and they will hopefully let us make some more!